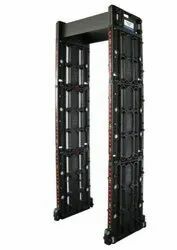 Manufacturer of a wide range of products which include door frame metal detector octopus6024/600tplus, multizone door frame metal detector octopus l12/ 300t, octopus l6 multizone door frame metal detector, door frame metal detector 6006 weather proof, multizone door frame metal detector octopus l12/td600t (weather proof) and door frame metal detector. 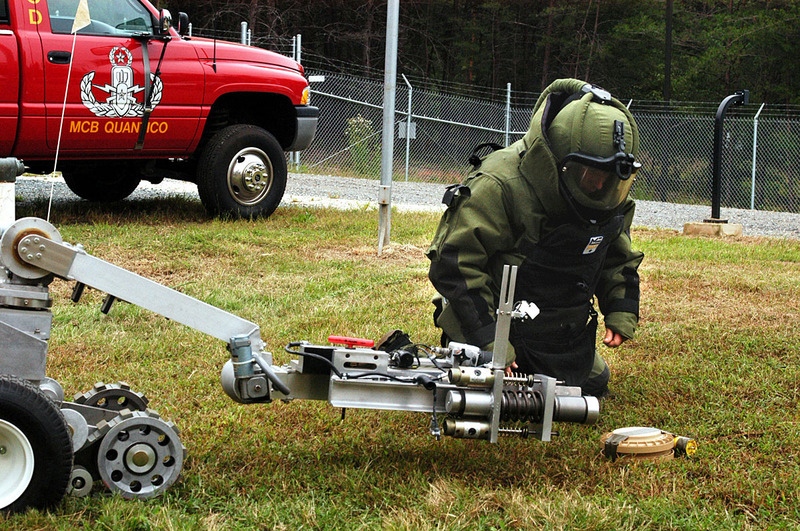 · Audio / Visual indications for metal detection. · Harmless to human body (Heart Pacemaker, Pregnant Women, Magnetic Floppy, Recording Tape etc. *Specifications are subject to change due to improvements in design. Work Place Environment -10 to 50 Deg. Cel. 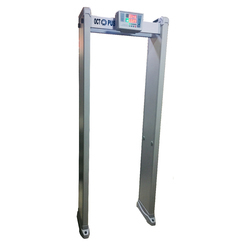 We are engaged in manufacturing and supplying Multizone Door Frame Metal Detector, designed & developed using advanced working facilities. Our experts assemble the preferred range using premium quality components and thus, assure our customers to have efficiently working products. These sensors are used as exhibition centers, banks, prisons, government agencies, oil stores, shopping malls and cinema foyers. Multi-tone Audible & Visual Indication as per volumetric size of metal. Two LED light bars on both door panels: gives alarm corresponding to the height of human body. Sensitivity setting of individual zone./All zones. Harmless to a human body (Heart Pacemaker, Pregnant Women, Magnetic Floppy, Recording Tape etc. A sensitivity setting of individual zone./All zones. Two LED light bars on both door panels gives alarm corresponding to the height or human body. 12 Pinpoint zones to precisely identify multiple target locations from head to toe. Harmless to human body (Heart Pacemaker, Pregnant Women, Magnetic Floppy, Recording Tape etc. Operating Temperature -10 to 50 Deg. Cel. 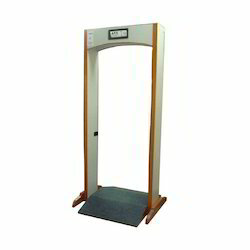 The Door Frame Metal Detector is designed to detect all type of Metals (Ferrous, Non-Ferrous) The search coil & control modules are housed in an aesthetically designed archway. The archway designed for quick installation. Walk / Stop indicator at the entrance of the archway to regulate the flow of traffic. All the controls & audiovisual indication are provided on the top of the rear side of the archway. Audio/ Visual indication for detector Ultra-High Sensitive. Detects all type of Ferrous Metal. WALK/ STOP indicator to regulate the flow of Traffic. Low Battery, Ready/ Not ready indication. Audio / Visual indication for detector. 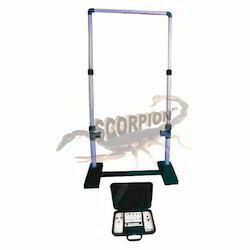 Scorpion 700205A Walk-Though metal detector incorporates the latest technology in coil design provides a dramatic improvement to the magnetic field with the archway. Auto set model and get tuned automatically without any operator's interface, Variable Audio pitch, 3 LED for large visualization and high-intensity Bar graph. Detachable for easy transportation. Rugged & aesthetic, designed for easy and quick assembly. · 8 zones to precisely identify multiple target locations from head to toe. · Sensitivity setting of individual zone./All zones. Working Temperature -10 to 55 Deg. Cel. The field-proven technique for continuous wave eddy current based energy absorption transmitter & receiver technology with phase discrimination used to generate magnetic field. Micro Processor Based Fully Auto set, ultra-high sensitivity. Detects Ferrous & Non - ferrous metals, Sensitivity control, multi-tone Audio / Visual Indication, Based IR Sensors, Sunmica frame detachable in 5 parts. · LED light bars on both door panels and on the Top of control unit : gives alarm corresponding to the height or human body. · 18 zones to precisely identify multiple target locations from head to toe.